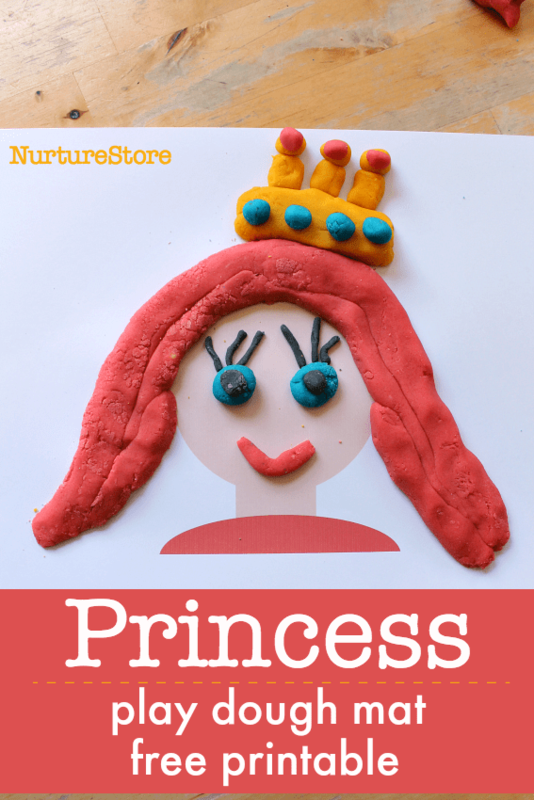 Have a right royal playtime with these princess play dough play mats! Our versatile multicultural faces printables can be used in many ways. Here we’re using them to have fun creating gorgeous princess pictures. You can print as many copies of the play mat as you need for your family, group or class. You might like to laminate the printable so you can use it time and time again. 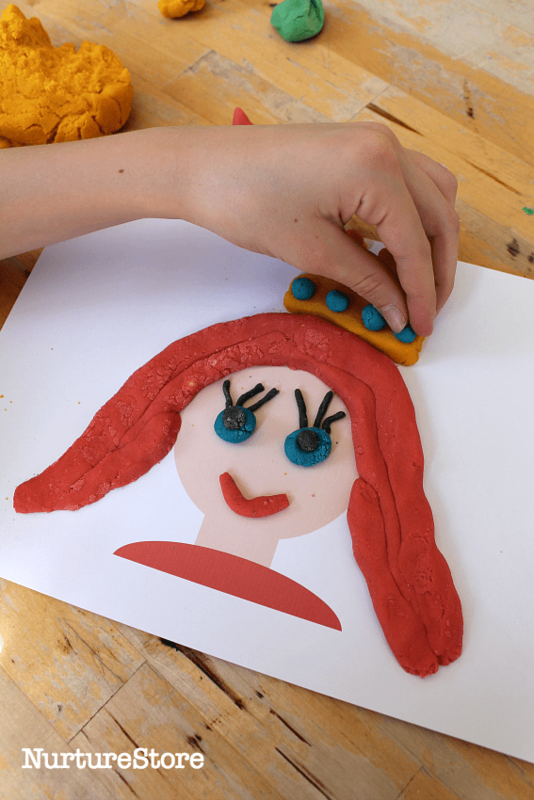 Set out the play mat with some homemade play dough, and perhaps some extra loose parts, and invite your children to play.